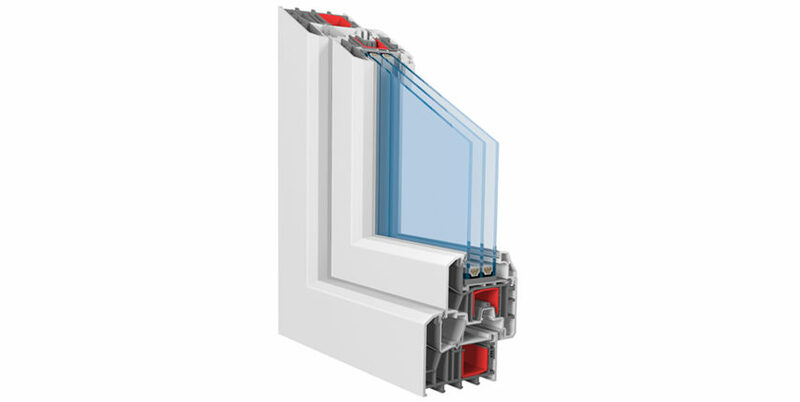 KBE 88 is the window and door system of the future. It is setting new standards in quality, thermal insulation, reliability, and design. This centre seal system’s modularity and innovative upgrade technologies provide adequate potential for its individualisation. 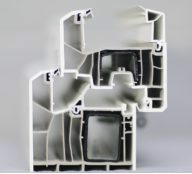 KBE 88 features an innovative, high-insulation 7-chamber centre seal system and maximised steel reinforcement sizes arranged at the centre for enhanced stability. 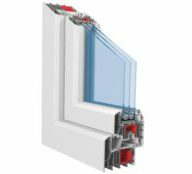 The result: Fitted with 48 mm thick triple glazing, even the standard version of this new system achieves the ambitious thermal insulation values of passive houses. If there is need for even better thermal insulation values, then the profile chambers can be prefoamed or filled with inserts. Thanks to a wide range of colour window laminates, aluminium cladding, sight lines, or simply just window rails, KBE 88 offers the highest level of design potential and is exemplary in its easy care and stability properties. Its intelligent design means that KBE 88 can be fitted with state of the art functional glazing – for particularly large glazed areas and solar gains. And this new profile generation offers efficient solutions and even better values for sound insulation and protection against forced entry. Overall a window and door system that knows no compromises in thermal insulation, stability, design potential, sound insulation, and protection against forced entry. 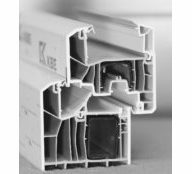 Whereas other window systems are plagued with problems like glass fibre reinforcements and weak steel reinforcements – with direct effects on their workable properties and stability – KBE 88 presents a convincing array of innovative design and excellent top values.